Lorri Fishman knows that divorce can be tough. She also knows how to help you make the transition process as seamless as possible. Lorri Fishman has served families in Fort Lauderdale for nearly 19 years. Discover how she can help you. What Sets Lorri Fishman Apart? 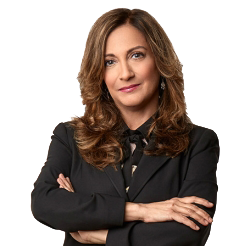 Attorney Lorri Fishman is a single mother who has been through divorce - she understands that there are certain times in life that can feel overwhelming. A legal crisis involving your family can have life-changing implications or may even cause you to feel uncertain about your future. If you are currently considering divorce, are in the midst of resolving a complex family law matter, or have been served with divorce papers, speak with Fort Lauderdale Divorce and Family Lawyer Lorri Fishman. During this time of crisis, you cannot settle for anything less than insightful legal counsel, passionate client service, and effective legal representation. Lorri prides herself on providing the best client service possible. To accomplish this, she combines the personal care one would expect from a boutique law firm with the savvy courtroom presence one would expect from a large firm. Having been in her clients' situation as a mother facing divorce,when you choose to work with her firm, you have direct access to your attorney's experiences and in-depth knowledge. Your case will be backed by a legal professional who is wholeheartedly devoted to resolving your case quickly, effectively, and cost-consciously. As a client, you can expect nothing less than Lorri’s undivided attention. To discuss your case confidentially, call (954) 371-0229 today. You Aren’t Alone. Learn How Lorri Has Helped Clients Just Like You! No matter how complex your case may seem, you can lean on Lorri K. Fishman's extensive legal experience, knowledge, and skill. She built her firm on a singular cornerstone belief: that she can make a difference. Ms. Fishman has been through the divorce process herself and completely understands the emotional gravity of the legal issues that can arise for both you and your children following a divorce. Whether she is resolving a high asset divorce, solving a divisive child custody battle, or handling a simple uncontested divorce, she knows that her work can have a direct impact on you, your family, and your future. Because she has experienced a divorce firsthand, she takes her duty as a legal counselor seriously and makes every possible effort to secure the results her clients need. As a former prosecutor, Attorney Fishman is also capable of handling various criminal defense matters. Because she has served in various roles within the legal system, Attorney Fishman has earned a reputation for being a formidable advocate without sacrificing compassion.